Nevada is not just a place for adults to visit. 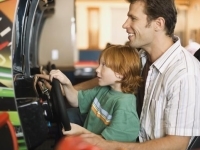 There are plenty of fun activities you can participate in when you are with your kids in NV. Look through our in-depth guide so the next time you are in Nevada you will have plenty of fun activities prepared for your kids! 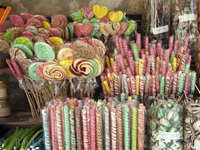 For those of you that have a sweet tooth, make sure you check out our detailed guide to the best candy shops in Nevada. You will find a complete list of all of the best NV candy shops. For those days when you just need some sugar visit one of these Nevada candy shops! Bring your kids to one of the listed daycare centers below. They're filled with many other kids that are looking to make friends. 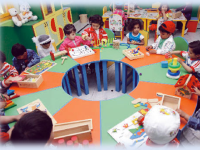 The daycare centers are filled with many activities for your child to participate in. Take the kids to a walk-in family fun center in Nevada this weekend for a great time! These fun play places in NV are open for kids to simply have a great time with their family. Are you looking for the best zoos in Nevada to go visit? Look no further! We have a detailed guide of the best NV zoos. If you are looking to spend the day seeing the beautiful animals that inhabit the Nevada zoos let our list help you find the best places to go. Are you looking for something fun to do with the kids when it is raining out? Check out this rainy day activities in NV. 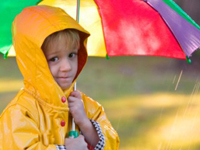 You will find a detailed list of Nevada rainy day activities right here! If you have kids and you want to reward them for their good behavior, consider bringing them to one of the best toy stores in NV. From dolls and stuffed animals to trucks and dinosaurs, you will find all of the toys that your kids will love. 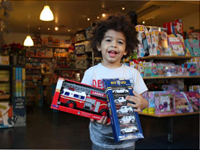 Check out our detailed guide to the best toy stores NV has to offer. When it gets too hot outside in Nevada, the best place to visit is one of the water parks in Nevada. We have a complete list of Nevada water parks where you can bring the family to splash in and cool off.